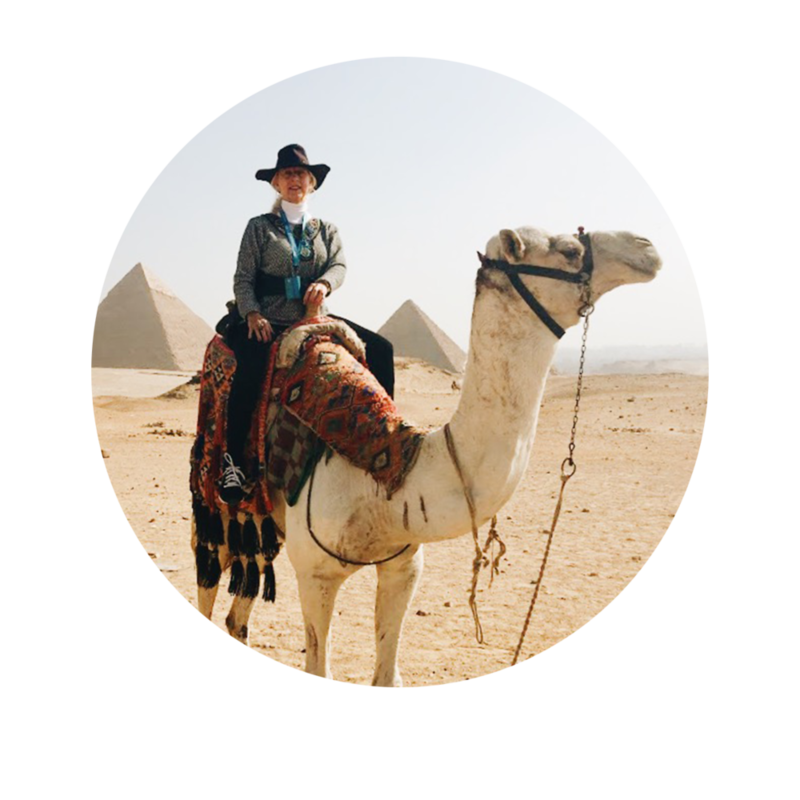 When I designed Astrid Solo Travel Advisor, I created it with the intention of sharing quality travel ideas, products and services designed for the traveler who likes to do things with class and style. My team and I continue to strive to define affordable luxury as a travel genre by providing restaurant and food recommendations, hotel reviews, travel tips, suggestions on cultural etiquette and plenty of shopping ideas for the international solo traveler. We strive very hard to make sure that any content we share on Astrid Solo Travel Advisor is of the highest quality. I am not willing to recommend a product or service that I don’t believe in. As someone who shops with a discerning eye, I value products that are well-made, stylish and sophisticated. Sunglasses by Maho Shades are are all of those things, and I am proud to share this brand with my readers! How I came to discover Maho Sunglasses is an interesting story in itself. My sister Heidi Core, an interior designer in Birmingham, Alabama, has an associate who works with her, Alexandra Anderson, who has developed a sunglasses company. Heidi casually mentioned to me that Alex designs extremely high quality sunglasses that sell for an affordable price. I was intrigued by the concept and asked if I could speak with Alex. Alex and I spoke about her company and the concept behind it. The idea for this brand actually came to Alex and her husband following a simple accident. While vacationing in Maho Bay, St John in the U.S. Virgin Islands, the couple both lost their expensive designer sunglasses on the same day while paddle boarding. As young newly weds, they were fed up by the amount of money they realized it was going to cost to replace these sunglasses. They decided then that there was a need for high quality shades that didn’t cost an arm and a leg to replace. Because there is essentially only one mega company that controls most of the high-end sunglasses market, Alex and her husband knew that if they could develop a product of equal or better quality and design for much less than the coveted designer sunglasses, their concept had a good chance of being successful and that is exactly what they have done. Handmade craftsmanship is the brand's basis with a wide array of classic frame styles and lens colors to choose from. Yes, all of the models are handmade and most of the frames are composed of a natural, cotton base substance that is attractive and functional. This makes Maho sunglasses pliable and, with wear, they naturally adapt to the shape of the wearer's head for a highly comfortable fit. One of the most outstanding features of this brand's glasses is their patented Oceanview polarized nylon lenses that are ultra-lightweight, have an anti-fog treatment for clarity during unexpected temperature changes, an anti- reflective treatment that ensures clarity no matter how glaring the sun is, a diamond hard coat to prevent scratching and provide 100 percent UV protection. Yes, these are considered the world's lightest and strongest polarized polyamide nylon lenses made which are completely shatterproof. How's that for eye sun protection! Each model captures the look of the place for which it was designed. Besides the superior quality lenses, Maho sunglasses come in eight different models that are classic yet stylish. Named after some of the best beaches or sunny destinations in the world, each model captures the look of the place for which it was designed. Buenos Aires, Cape Town, Charleston, Reykjavik, Stockholm and Madrid are some of the best sellers. These models are priced at $95 with shipping included. Two of the slightly more expensive choices are the "James Bond" look, Cruz Bay model and the Key West, Arctic Gold Mirror style. The Cruz Bay sunglasses have a classic aviator look that features ultralight aerospace grade titanium used for design accent and solid construction. An "architectural statement piece" is how Maho describes the Key West model. Both of these styles sell for $125. Additional attractive brand features include a one year warranty for all material defects or workmanship failings. Maho will repair or replace defective glasses free of charge. Also, a lifetime warranty is offered to all original owners for a $30 replacement fee and a full refund within 30 days is offered if you are not completely satisfied with your purchase. In order to qualify for a total refund the glasses must be unused and resalable. Before deciding to recommend this product, I selected several models to try out. I brought the Uluwatu Charcoal with Blue Mirror lenses style with me on my recent trip to Venice, Italy. I've worn the Reykjavik Caramel Havana version during the dead of summer in Baton Rouge, my hometown, and will be taking both selections on my five day Miami Beach, New Years getaway to wear around the Fountainebleau Hotel's swanky pools. Love both models. Each are ultra-lightweight, extremely soothing to the eyes and look classically stylish. The right kind of sunglasses for the solo traveler is an important trip accessory. You need a trusty pair that will protect your eyes and blend in nicely with your travel wardrobe. Throughout my many years of solo travel I have had many different brands, types and styles of sunglasses both expensive and not-so-costly. What I have found is you have to invest in good sun protection for you visual safety and comfort. Spending too much on a pair of shades you might misplace can be a bummer. My suggestion is the next time you are looking for a quality pair of sunglasses invest in a pair or two of Mahos. You won't be disappointed! Use the code: ASTRIDTRAVELS for $5 off your purchase! Enjoy this short video showcasing handcrafted, wooden Yayokie Maho Revo Brown sunglasses.